It's no secret Winnipeg Jets winger Patrik Laine's whip-fast one-timer routinely puzzles goalies across the NHL. It's also true the young goal-scorer has struggled to find the back of the net for months. Jets fans love the Finnish phenom, but it's not a stretch to say some of his biggest supporters grew a little anxious as the 2019 playoffs approached, waiting on him to hit a hot streak again like he did last fall. Laine scored 18 goals in November alone, including a five-goal outburst against the St. Louis Blues on Nov. 24 that was followed shortly by the 20-year-old's 100th career goal on Nov. 29 against Chicago. He would put up just 10 more goals over the next four months. 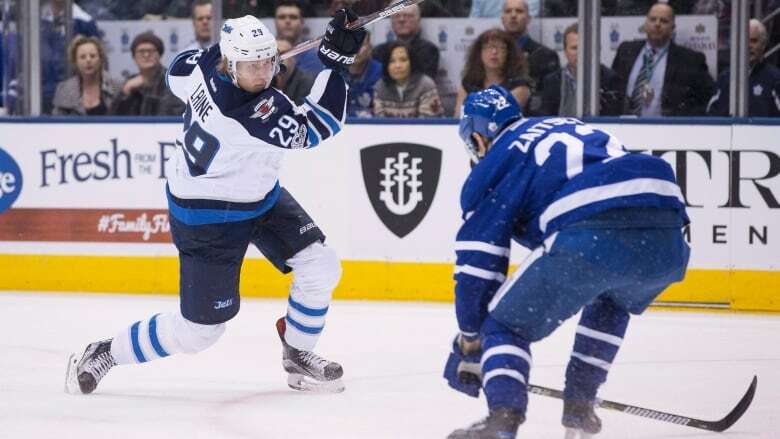 But in what perhaps could be a sign things are turning around for Laine, he broke a 12-game scoring slump late in March with one of his patented one-timers against Stars goalie Ben Bishop. That slapshot was his final goal of regular season play and his 30th of the year, down from 44 last year and 36 in his rookie season of 2016-17. It's hard to know for certain why Laine wasn't beating goalies late in the season, but what is certain is that his whip-fast one-timer is special, according to a pair of experts in hockey mechanics. 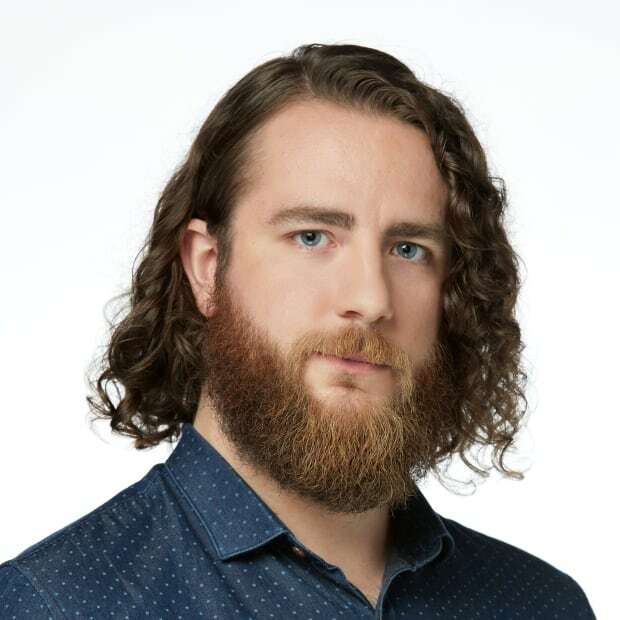 Jeff Leiter is director of sports science and performance with The Rink in Winnipeg and previously played for the University of Manitoba Bisons and Wichita Thunder of the Central Hockey League. Jason Yee played for the UBC Thunderbirds before going on to play in the KHL in China and now consults players of all ages and skill levels learn to perfect their shot and develop their game. 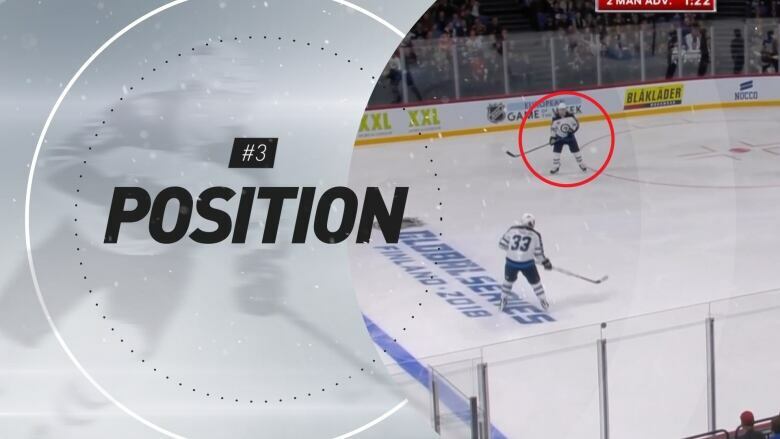 The pair say a lot of little things go into making Laine's one-timer what it is, but in general terms it can be broken down into three steps. It starts with his full-body rotation, said Yee. "Laine is huge," he said. "He has a really long stick, he has huge limbs so he's got really long levers, so when he gets everything rotating just right that puck is just going to go flying." Leiter said Laine can generate serious torque in his hips and trunk that governs what the rest of his body does. He typically drops his right hip and knee as he twists and sweeps his stick down, creating a whip effect through his lower body. The motion carries through his shoulders and that power transfers to the stick and puck as he follows through. Next comes stick technology and flex. "What you see in the new technology in the sticks is that the sticks flex themselves," said Yee. "Everyone thinks that players need to lean on the sticks, but it's really the sticks that have whip built into them and so then they end up whipping the puck." Yee said Laine keeps his top hand close to his chest while his arms and hands sweep the stick down his body in a tight arc, the stick bowing in the process. When the blade comes into contact with the ice and puck, something almost imperceptible happens. 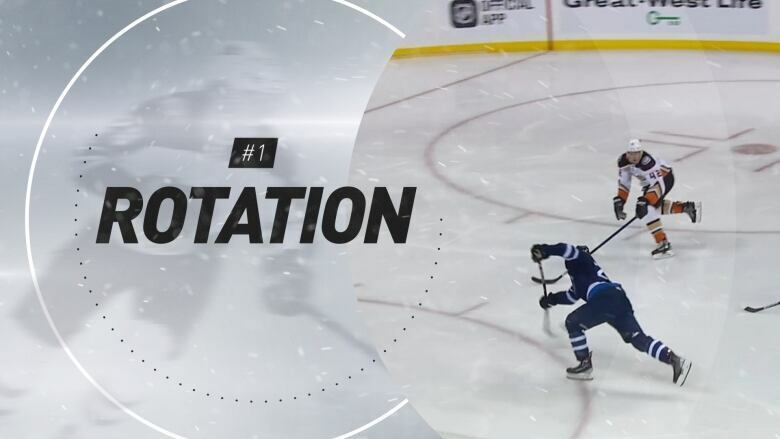 Leiter said the torque Laine transfers through his body down the length of the stick means the blade whacks the puck with such force that it, too, flexes as it wraps around the puck slightly on contact. Lastly, before he even starts his shot, Laine scouts out his position on the ice. He often sets up at the top of the circle like his idol, Washington Capitals sniper Alexander Ovechkin. As his teammates move the puck around in the offensive zone, Leiter said Laine calculates his distance from the next and boards. Once he sees an opening and the puck is on its way toward him, he estimates how high he needs to shoot the puck. Leiter said Laine's ability to pull all these elements together gives him a consistently accurate one-timer that he is able to get off in a flash. Jets fans hope he can muster those magical powers against the Blues in the first round of playoffs. It wasn't his patented one-timer, but he did manage to score the first goal of the first game in the series before a packed crowd at Bell MTS Centre, though the Jets lost the game. He found the net again in Friday's 4-3 loss to the Blues, with a booming one-timer coming from a Blake Wheeler feed on a power play. "I wouldn't suggest that there's any sort of mechanical tweak [needed]. I would say it's just an odds thing and he needs to keep playing the odds."